Rockwell Automation has expanded its portfolio of industrial Ethernet switches with the new Allen-Bradley Stratix 5410 industrial distribution switch. With four 10-gigabit Ethernet ports, the Stratix 5410 switch provides a high-performance connection to the rest of a facility’s network architecture. The switch can be used as a Layer 2 switch or a Layer 3 routing switch, which allows engineers to use it in various applications. With a 19-inch rack-mount design, the Stratix 5410 switch gives end users a centralized point of network distribution and increased port density. It is ideal for heavy industry applications where resiliency is often required, and has a rugged exterior to help withstand harsh environmental conditions. With embedded Cisco technology and Premier Integration into the Rockwell Automation Integrated Architecture system, the Stratix 5410 switch provides familiar solutions for information technology (IT) and operations technology (OT) professionals. This helps ease network configuration, management and support. Using the Rockwell Software Studio 5000 design environment, engineers can leverage FactoryTalk View faceplates from Rockwell Automation and add-on profiles to simplify switch configuration and monitoring. In addition, the embedded Cisco technology helps optimize integration with the enterprise network. Enhanced security features include programmable port access, as well as configurable port security. Capabilities such as encrypted administrative traffic, 802.1x authentication, access control lists (ACL), and TACACS+ and RADIUS support plantwide security as part of a defense-in-depth security approach. Schneider Electric, the global specialist in energy management and automation, has today announced a partnership with worldwide leader in networking, Cisco, to bring advanced networking and control system technologies to its customers. Cisco is focused on helping transform industrial customers by connecting people, processes, data and things. Schneider Electric will leverage the proven technologies from Cisco to help deliver its enhanced industrial automation solutions. Welcoming Cisco to the Schneider Electric Collaborative Automation Partner Program (CAPP) provides the platform needed to offer the company’s state-of-the-art industrial networking technology to Schneider Electric customers in more than 200 countries. Schneider Electric and Cisco both share the philosophy of driving technological solutions to address specific customer challenges, and both companies welcome the benefits of this partnership. The superior value delivered to common industrial customers by this partnership can be demonstrated in a recent customer case. A major metallurgical coal miner located in the Bowen Basin in Queensland, Australia, selected Schneider Electric to supply an advanced technology solution for a new operation that produces metallurgical coal for the steel industry. Commissioned in late 2014, and constructed to be one of the most productive, sustainable and highly performing metallurgical coal mines in the world, the company’s operation relies on a substantial foundation of technologies from Cisco and Schneider Electric – control of the fixed plant is entrusted to Schneider Electric systems, while the process control network depends on proven technologies from Cisco. 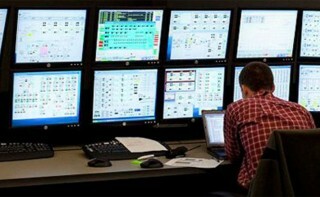 Many Schneider Electric customers already use Cisco technology. In fact, some IT departments require the implementation of Cisco technology as a standard across the enterprise, including the industrial network. Companies who rely on Cisco for industrial network connectivity can achieve network resiliency using Cisco technologies including rapid ring recovery, link redundancy, link aggregation and rapid failover. “Complementing our advanced core offer with best-in-class partners like Cisco is the next step in our commitment to helping our customers operate high performance networks and systems,” said Fabrice Jadot, Senior Vice President, Innovation & Technology and CTO, Industry Business, Schneider Electric. Saelig Company, Inc. (www.saelig.com) has introduced the STD-503, a 2.4 GHz radio transceiver module, designed to facilitate the simple embedding of wireless capabilities in industrial remote control equipment. Suitable for worldwide implementation, this compact radio transceiver module was specifically developed for industrial applications that must have stable and reliable communication for up to 300 yards with battery operation. To ensure highly reliable radio communication in the congested 2.4 GHz ISM band, the module uses highly noise-resistant direct-sequence spread spectrum (DSSS) modulation, as well as a true diversity receiver design that employs two antennas, each with its own receiving circuit, thus preventing signal dropout due to multi-path fading. The use of two antennas facing different directions to insure transmission reliability is a feature not available in most lower cost receivers. The data interface of the STD-503 is transparent, enabling users with proprietary protocols to use them without modification. But the interface also offers a high degree of freedom, enabling continuous transmission of Low or High signals without restriction. At only 1.6" x 1.15" x 0.22", the STD-503 is 50% smaller than its predecessor the STD-502-R. Additionally, the STD-503 now allows channel switching according to a preset channel plan via pin selection (up to 20 frequency channels can be saved in the plan). It uses a custom ASIC with DSSS modulation and true diversity processing in order to guarantee the long-term supply availability of key radio components. Transmitting data at up to 19.2kps, the low power operation of 10mW is achieved using a 3.3V 65mA supply. The STD-503 is already certified to FCC Part 15.247 for USA, EN 300 440 for Europe, ARIB STD-T66 for Japan, making it ready to use for the global market. Capable of operating from -20 to +65degC, the STD-503 will find application in the reliable remote control of industrial equipment, industrial telemetry, and monitoring systems. As industrial markets evolve to unlock the promise of the Internet of Things (IoT), Rockwell Automation and Cisco have announced new additions to their Converged Plantwide Ethernet (CPwE) architectures to help operations technology (OT) and information technology (IT) professionals address constantly changing security practices. The latest CPwE security expansions, featuring technology from both companies, include design guidance and validated architectures to help build a more secure network across the plant and enterprise. The Industrial IoT is elevating the need for highly flexible, secure connectivity between things, machines, work flows, databases and people, enabling new models of policy-based plant-floor access. Through these new connections, machine data on the plant floor can be analyzed and applied to determine optimal operation and supply-chain work flows for improved efficiencies and cost savings. A securely connected environment also enables organizations to mitigate risk with policy compliance, and protects intellectual property with secure sharing between global stakeholders. Core to the new validated architectures is a focus on enabling OT and IT professionals to utilize security policies and procedures by forming multiple layers of defense. A defense-in-depth approach helps manufacturers by establishing processes and policies that identify and contain evolving threats in industrial automation and control systems. The new CPwE architectures leverage open industry standards, such as IEC 62443, and provide recommendations for more securely sharing data across an industrial demilitarized zone, as well as enforcing policies that control access to the plantwide wired or wireless network. The Industrial Demilitarized Zone Design and Implementation Guide and white paper provide guidance to users on securely sharing data from the plant floor through the enterprise. The Identity Services Design and Implementation Guide and white paper introduce an approach to security policy enforcement that tightly controls access by anyone inside the plant, whether they’re trying to connect via wired or wireless access. Companies can now take advantage of industry-leading solutions from Rockwell Automation and Cisco to address security from a holistic perspective. Together, the two companies provide a common, scalable architecture for ruggedized industrial Ethernet and enterprise networks, along with unique services, such as security assessments and managed security, to help manufacturers define and meet performance metrics and scale in-house resources. Moxa is pleased to release the WDR-3124A, the company’s first wireless router that combines both WLAN and WWAN connectivity to ensure that your wireless devices are connected anywhere, anytime. The WDR-3124A’s innovative auto-switch failover function enables automatic switchovers between 802.11n and HSPA standards, ensuring wireless availability for your mission-critical systems. To ensure reliable wireless LAN and WAN connections, the WDR-3124A also supports Moxa’s Turbo Roaming technology* for seamless Wi-Fi roaming within milliseconds. For cellular transmission, dual SIM card slots with GuaranLink technology ensures reliable cellular transmissions, making the WDR-3124A the most ideal wireless router for your wireless applications that require both LAN and WAN connectivity.